During a game against Lee's Summit West, senior Anna Reynolds cradles the ball and looks down the field. Reynolds currently has 23 goals on the season. Baseball: The baseball team played a three game home series over the week. 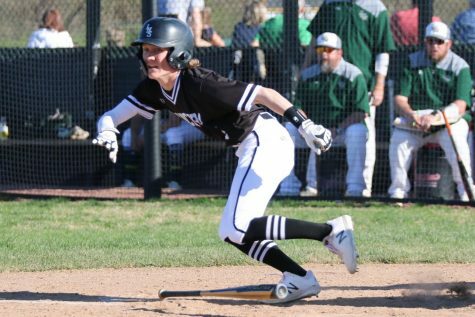 On April 8, they played against De Smet, losing a close game with the final score being 7-6. The next day, the Lancers won against Lindbergh 11-1 with senior Austin Ohland leading the team with three RBIs. On April 11, the team then lost in another close game against Kirkwood with the final score being 4-3. 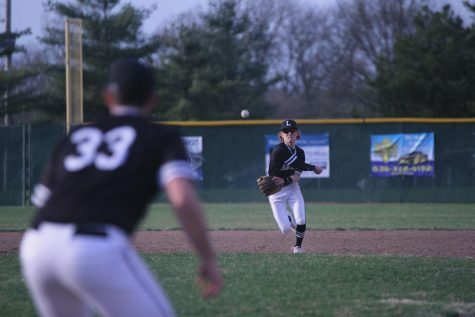 On April 13, the Lancers also played two games against Francis Howell North. They won both games, the final scores being 11-7, then 6-0. 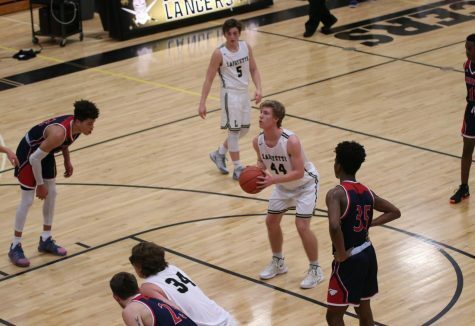 The Lancer’s next game will take place on April 16 at Parkway South at 4:30 p.m. Boys Golf: The boys golf team participated in the Fort Zumwalt South Bulldog Battle on April 8. The team placed fourth with a score of 318. Senior Max Kreikemeier, however, took first place with three strokes under par. Boys Lacrosse: The Lancers lost a close game to Holt on April 8, with the final score being 12-10. They suffered another loss later in the week on April 12 to District rival Eureka with the final score being 21-3. 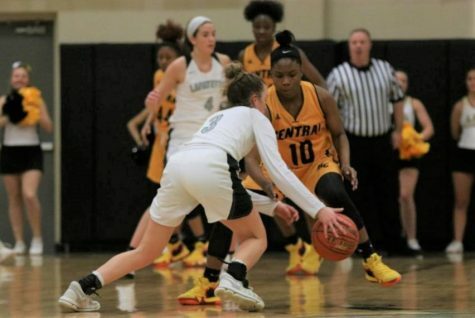 They looked to remedy both of those losses in their game at MICDS, which will take place at 5:30 p.m. on April 16. After bunting on the April 9 baseball game against Lindbergh, senior Ryan Neise runs down the first base line. The Lancers defeated the Flyers 11-1. Boys Tennis: The boys tennis team took second place in the Eureka Doubles Tournament on April 11. During the tournament, the team won against Parkway Central but lost to Marquette and Kirkwood. For their next games on April 16, they will be facing off against Webster Groves at the Webster Groves Tennis Center at 4:30 p.m. Boys Track: The boys track team took first place in the Henle Holmes Invitational on April 11-12. In the meet, senior Harrison Brown took first place in both the mile and the two mile run with times of 4:24.03 and 9:36.27 respectively. 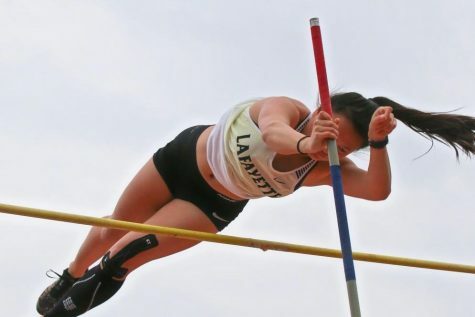 The next track meet for the Lancers will take place on April 20 when they will compete in the Ladue Brusca Invitational. 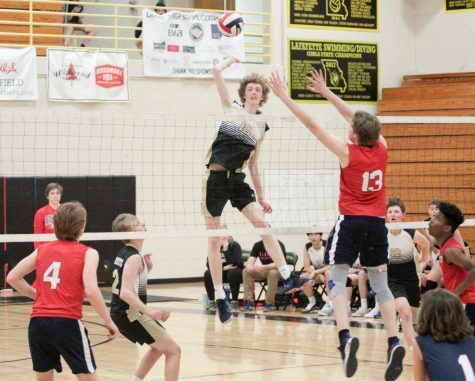 Boys Volleyball: The Lancers faced off against Kirkwood on April 8 and got a win by claiming two of three sets. They then played against Fox on April 9 and won again in two sets. The team then played two games against Parkway North and Marquette on April 12 at Parkway Central High School. They lost in two sets against Parkway North, but then turned it around to get a win against Marquette by winning two out of three sets. On April 13, the team played another series of games at Parkway Central. In their first game against Parkway South, the Lancers lost in two sets. Then they played Parkway North and won in two sets. In the final game of the day, the Lancers fell to Marquette in two sets. 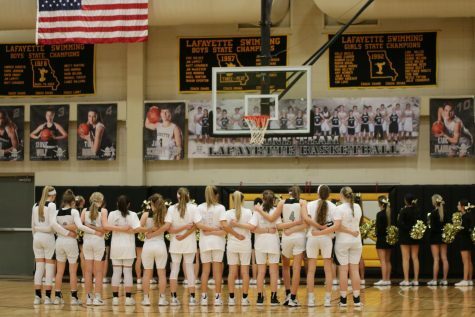 Their record is currently 10-7 and their next game will be in the Main Gym on April 16 against Eureka at 5:30 p.m. 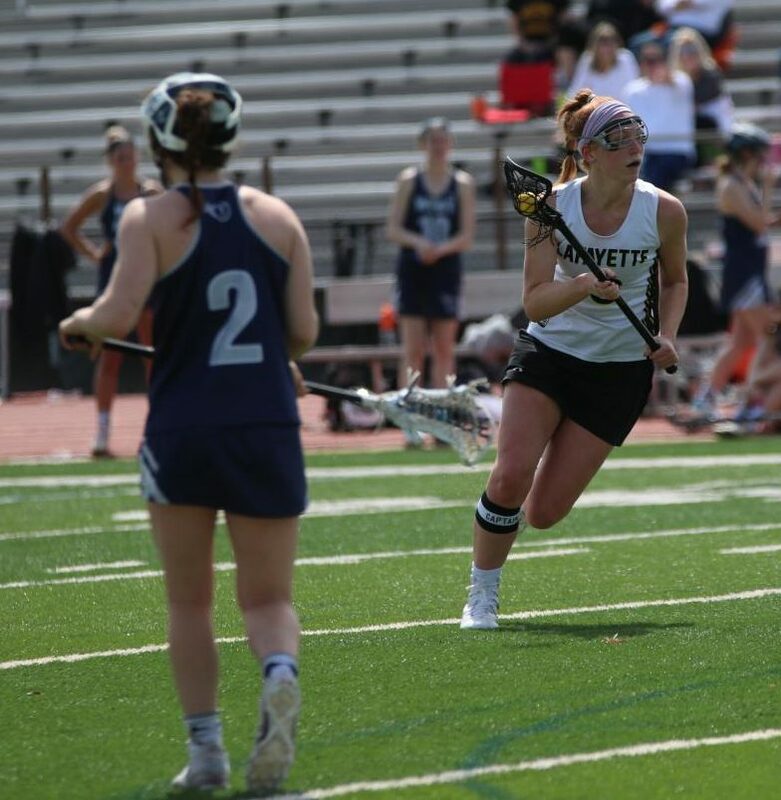 Girls Lacrosse: The girls lacrosse team won each of their last two games, a game against MICDS and one against Cor Jesu. The final scores of each game were 13-10. 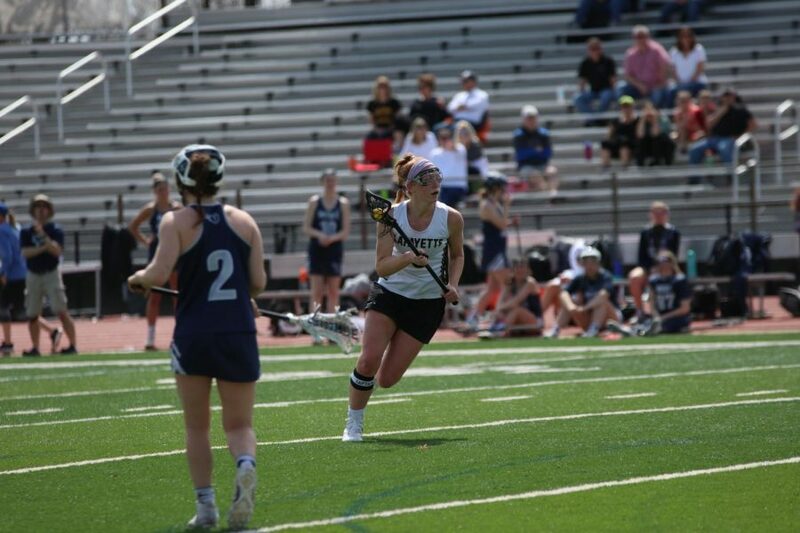 Senior Katherine Goddin contributed to those wins with seven goals per game. Goddin currently leads the St. Louis area with 51 goals and 11 assists. Their next game will be at O’Fallon on April 18 at 6:15 p.m. Girls Soccer: On April 8, the Lancers kept their winning streak alive against Francis Howell, the final score being 3-1. They played against Kirkwood later that week on April 10 and won 2-0. The shutout was courtesy of junior goalie Natalie Phelps. The team then played and won two games against teams from Nebraska. On April 11, the faced Millard North and won 3-1, and on April 12, they took on Papillion-La Vista and won 2-1. Their record is currently 9-1 and their next game will be on April 18 at Rockwood Summit High School with kickoff being at 6 p.m. Girls Track: The Lady Lancers also participated in the Henle Holmes Invitational on April 11-12. At the meet, senior Anna Karner placed first in the mile run with a time of 5:07.83. Senior Elizabeth Schilling also took first place in the girls long jump with a distance of 17′ 4.5″, and she took first place in the girls pole vault with a jump of 11′ 6″ setting the school record for the third time this season. In discus, senior Brittany Hawthorne took first place, with a throw measuring 126 feet. 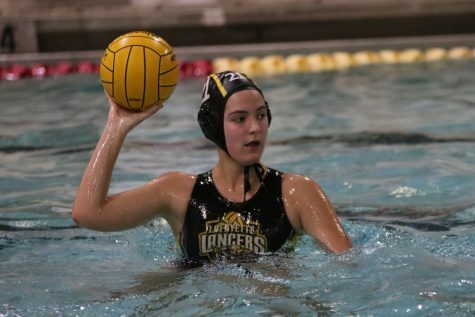 Water Polo: On April 9, the Lancers played against Parkway Central and lost the game 16-9. Their next game took place on April 11 where they lost against MICDS 17-7. 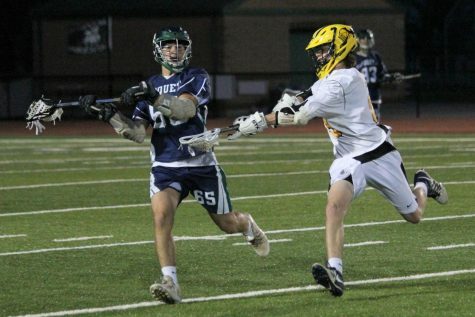 Junior Blake McCarthy is the second leading scorer in the St. Louis area with 70 goals and 161 points. 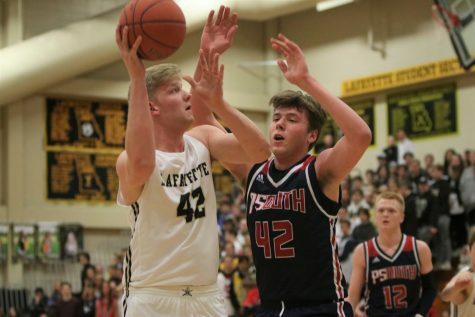 The next game for the Lancers takes place on April 15 in the Lafayette pool against Parkway North. 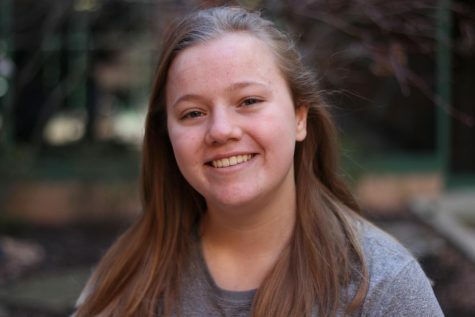 Morgan Vehige is a freshman, and this is her first year on staff. Outside of school, you can find her playing softball or spending time with her friends. Morgan can be contacted at mvehige078@rsdmo.org.